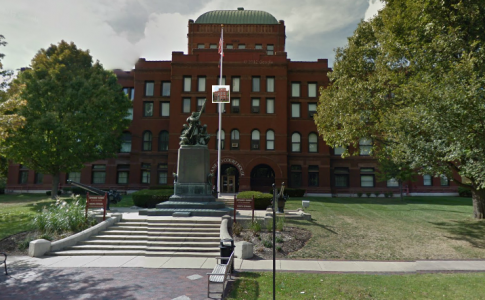 Bomb Threats at the Kane County Courthouses: Probably a Bad Idea – Disorderly Conduct. Earlier this week somebody, apparently, phoned in a couple of bomb threats to the Kane County Clerk’s office. As a result, they closed the Kane County Judicial Center in St. Charles, the Kane County Branch Court that’s a mile away and the Elgin Branch Court. I know I’m going out on a limb here, but this bomb threat was probably a bad idea. Maybe even the worst idea of the week. The Sheriff in Kane County is like many of your local lawmen across the country- well trained in responding and dealing to these sorts of threats. So, he kicked all the lawyers out of the judicial center, closed it for a couple hours, and then re-opened the courthouses and got back to business. It was over quickly. For everybody except the people making the threats, anyway. See, these bomb threats are felonies- serious felonies. Felonies are generally bad things to try to squeeze into your busy week. Some are worse than others, though. This would fall into that category. I know I didn’t have to tell you that, though. You remember 9/11, and you know that anything that has anything to do with mentioning bombs isn’t about bombs any more- it’s about terror. Terror equals extra-bad punishment. Two threatening phone calls Wednesday morning prompted the evacuation of the Kane County Judicial Center in St. Charles Township, the Kane County Branch Court in St. Charles and the Elgin Branch Court in Elgin, Gengler said. He noted other court buildings were checked as well. Sheriff Pat Perez said the calls came in about 9:40 a.m. A voicemail message was left at the Kane County Circuit Clerk’s Office, which shares a building with the Kane County Branch Court, he said. The message was “a lot of people in Kane County are going to die today,” Perez said. QuadComm – a dispatcher for Dundee, Carpentersville and Algonquin – relayed a second call to KaneComm, Perez said. That caller said four bombs were planted at the courthouse, Perez said, noting officials took that to mean the Kane County Judicial Center. Authorities have identified a person of interest for both calls, Perez said, noting they are different people. I’m no Magnum P.I. but I know exactly how the authorities found these two “persons of interest.” They looked around for the a rock large enough for two people to hide under. That’s the only place anybody could possibly be to have no idea what’s been going on with law enforcement and phones. And by that, of course, I’m referring things like the government’s ability to track your cell phone even when it’s off, and the fact that AT&T is fine turning over all of your phone data- even if it was from over twenty years ago. Who thinks they can phone in bomb threats anywhere and not get nabbed quickly, any more? Only guys under rocks. If you’ve got nothing to hide you’ve got nothing to worry about, right? I don’t know about that, but I know that if you’re phoning in bomb threats to the St. Charles courthouse- or anywhere else- you do have something to hide. I guess if I could give you people one piece of advice from all of this it’s that you shouldn’t ever make bomb threats– doubly so if you’re going to do it over the phone. It never ends well. Previous Previous post: The Geneva Police Crash Jenny McCarthy’s Party. Next Next post: No Rehab in Bull Valley’s Back Yard!